Sunday sees the tenth anniversary of Tony Stewart becoming a Miller which saw a new era begin at Rotherham United. After what had seemed the worst passage in Rotherham United’s history, 29th April 2008 saw Millers fans buzzing over the news that Rotherham United Administer Jeremy Bleazard issued a press release saying that the preferred bidders he was talking to were ASD Lighting PLC and that the talks are in an advanced stage. Chairman of ASD Lighting PLC, Tony Stewart, was in no doubt that his company would take over the Millers and from that day was calling himself the Owner/Chairman of the club. And ten years later after many ups and downs, he’s still there. Mr Stewart took the club out of administration but couldn’t strike a deal with the landlords so the first thing he did as Rotherham United Chairman was put a lot of Millers’ backs up by moving us out of our spiritual home of Millmoor to the cold, soulless Don Valley Stadium in Sheffield. But he insisted that he would bring us back to Rotherham – and that he did. The second thing Mr Stewart had to deal with was the League’s ruling that, due to administration, the club would be starting his first season with the Millers on minus seventeen points. Sterling performances soon removed the deficit and some think we were unlucky not to make the play-offs. In September 2009 the Chairman put then Manager Mark Robins on gardening leave and he subsequently went up at Oakwell with Tony Stewart fetching in fans former favourite Ronnie Moore back to the club. Now bringing back Ronnie, who was a club legend, split the Rotherham fans right down the middle. The Millers ended fifth in the league and won their play-off games to get to Wembley. Unfortunately for Tony Stewart that didn’t end how he was hoping and after twice coming from behind the Millers went behind a third time and consequently lost to Dagenham and Redbridge. The 2010/11 season began well but after some indifferent results, the final blow being a five-nil loss to Chesterfield live on TV the Chairman and Ronnie parted company by ‘mutual consent’ leaving Andy Liddle, Paul Warne and Andy Dibble in charge of the first team affairs. On 13 April 2011 the Chairman brought in Andy Scott as the new Manager of his football club. The 2011/12 season started well and Andy Scott was named as Manager of the Month for August. After that things went downhill and after just a year in charge Scott was sacked and Tony Stewart was back looking for a new manager again – as well as building a new stadium in the middle of town which he will always be remembered for. Well it didn’t take long. Amongst a host of well known rumoured candidates, and much to everyone’s surprise, Mr Stewart named Steve Evans as the Millers new Gaffer. This appointment didn’t even split the fans down the middle it was more like a ninety/ten divide of people not wanting Evans in. Tony Stewart rode the waves and the obvious disappointment and asked the fans to give the new man a chance. And he appeared to do with his other managers, Stewart backed his signings and he brought in the likes of O’Connor, Noble, Nardiello and Morgan to blend with players that were already at the club. 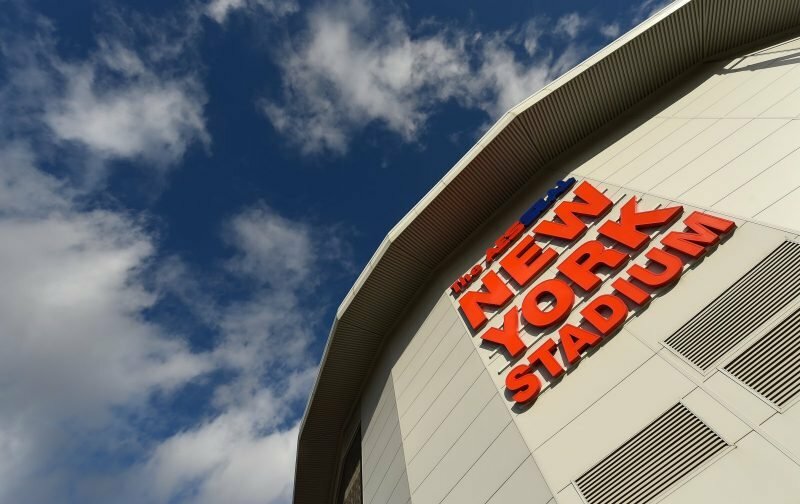 After four years of League Two football and four managers, the first season at the New York Stadium saw the Millers promoted finishing in second place behind Gillingham. The following season Rotherham finished fourth in League One and after play-off semi finals against Preston they got through to the final at Wembley. Two-down to Leyton Orient (who had finished the season one place above Rotherham) at half-time it looked like it was going to be another ‘nearly but no’ season for the Millers but then came Alex Revell’s two goals and a win on penalties to send the thousands of Millers fans ecstatic and still talking about the ‘ambitious but brilliant’ Wembley final to this day. That first season in the Championship could have been worse – we were hanging on there just above the drop zone with three games to go when the FA dropped another bombshell on us saying we’d fielded an ineligible player in our one-nil win over Brighton. The player in question was Farrend Rawson who was on loan from Derby County and who the Millers had played a day after his youth loan had expired. But, Steve Evans’ team hung on and ended the season in twenty-first place. The following season saw Steve Evans lead the team to back-to-back victories which took them out of the relegation zone but was then, somewhat surprisingly, along with his assistant Paul Raynor, shown the door. Tony Stewart appointed former Leeds United Boss Neil Redfearn as Manager in October. He lasted until February and then Neil Warnock was in the hot seat. The former Millers player guided the club to safety, finishing nine points above Charlton who, along with MK Dons and Burton, were relegated. Mr Stewart tried to keep Neil Warnock at the New York Stadium but the former Sheffield United Manager wanted to go to a team who might be promoted and eventually joined Cardiff City. In the meantime the Millers had appointed former Blackburn Rovers defender Alan Stubbs who lasted two months after just one win and conceding thirty-seven goals. The Millers Chairman then turned to Kenny Jackett, well versed in management, he lasted five games, leaving after just thirty-nine days which left Mr Stewart in a bit of a predicament. Only November, two managers down and it already looking like the team would be relegated who could he turn to? Paul Warne was put in temporary charge, then was told he was in charge until the end of the season and after a lot of speculation he was named permanent manager in April 2017, which again divided the fans. The Millers went down, never having moved off the bottom spot and nineteen points behind Wigan who were also relegated to League One. And now right up to date – with many fans, including, I have to admit, myself – saying we’d be happy with a mid-table finish, we go to the end of the season already in a play-off spot. In an interview this week Mr Stewart says that his aim is the Premier League. I hope he’s right. Personally, I think we’ve got to learn how to cope in the Championship with teams who have a lot, lot more money than us and can buy players we can only dream of before we even contemplate going into the Premier League. But, looking back it’s not been a bad ten years for a man who makes lights for his money has it? !